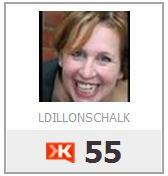 Klout rates the social influence of individuals in social media. oooooooo. This is an inflection point in social media (metrics anyways). The founders of Klout are working on the first application that measures social influence and so introduces an algorithm for determining which social media bloggers/tweeters/fans, etc are creating the strongest influence. For brands, politicians, media – whatever your poison – can now understand those who influence the crowd. Importantly, Klout has only integrated twitter and facebook so other social medias, like Linkedin or blogs, are yet to come. AND… Klout has an API – which means that developers can integrate the Klout score of individuals into their services. Hootsuite, the popular twitter client for instance, has klout scores integrated into the profiles of individuals. There is rumour that Google will also be factoring in Klout in its own algorithms – which raises the voice of the influential. Understanding klout is worthwhile and although I would hesitate to run a Klout perk program without ample investigation or verifying of influencers – unlike how some in the industry are starting to (and hats off pending your investment in this new area) – I do watch the growth – 1500 companies are using its API, people are adding klout profiles to their linkedin profiles (I did!) and young americans are putting scores on resumes. 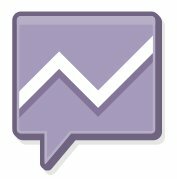 LDS: How will Klout account for national or regional differences in social media usage? For example, Canadians just do not use twitter lists as much as Americans do – and while we might get there, it is hard to rate a Canadian using American metrics to determine influence. Of course, Canadians are heavily into Facebook more than most nations – and so this too requires balancing. I think, over time, Justin Bieber would become less of a poster child – assuming he does not leverage across multiple social networks. JF: This is a big challenge. It’s gets even harder when you look at how people using twitter in indonesia or brazil. We use a model based approach so that we can have lots of features and have the weights between them be dynamic based on different factors of the account. This is something we’ll need to get really good at. LDS: I also notice a lot of follower gamers. @SiDawson from Australia has a neat little program called Twitcleaner which highlights the potential garbage in someone’s following. I could see Klout offer something like this – to not only measure klout but manage klout. JF: Yeah, there is tons of follower gamers. We actually don’t look at followers in the calculation at all. LDS: Last question – how do you isolate influencers for a particular brand? I can look up individuals but if I wanted to know the most influencial on coffee, for instance – would I do that thru social media monitoring then take those with authority and cross reference into Klout? It seems arduous. JF: We do this behind the scenes and use it to target our campaigns. There really isn’t a great way to do it on the site right now. We have a new version of the site coming though and this will be a big part of it. Jason Baker’s piece on Klout..become standard online influence measurement tool , interview with Klout marketing director. This entry was posted in Klout, metrics, social networks and tagged joe fernandez, klout, metrics, social influence on February 28, 2011 by Laurie Dillon Schalk. Interesting tips from Lauren Kozak, social media mgr for Brit Spears. This entry was posted in metrics, social networks and tagged metrics, social media on May 14, 2009 by Laurie Dillon Schalk.